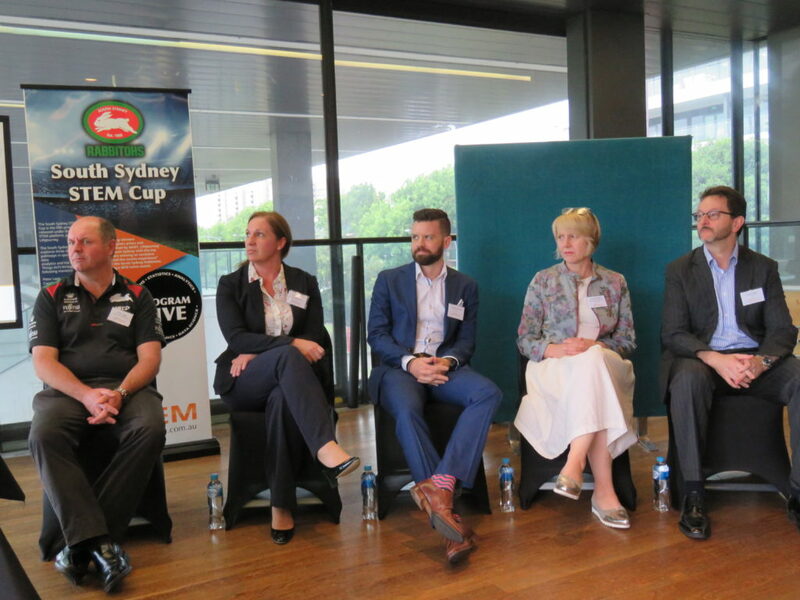 In November, LifeJourney successfully launched the South Sydney STEM Cup at Redfern Oval, Sydney. 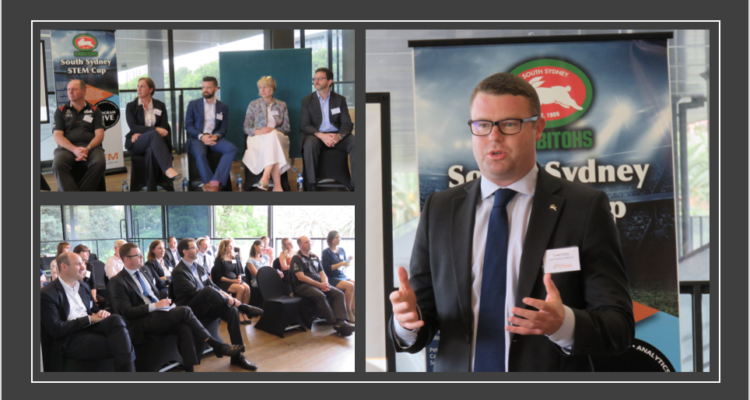 The launch was attended by education associations, teachers, industry personnel and Rabbitohs executives. STEM careers and increasing the STEM skills of Australian students were the hot topics on the agenda. Hills Grammar School Careers and Tertiary Awareness Co-ordinator, Kim Mahoney, presented about her experience successfully using Day of STEM programs in the classroom to up-skill and educate her students. Mathematics Association of NSW, spoke passionately about how teachers can help students build the mathematical foundation needed for STEM career success. The launch concluded with a lively Q&A panel discussion featuring a range of STEM and educational perspectives. The topic was Discovering STEM Career Pathways in Non-Traditional Spaces and panelists included Peter Legg, Capologist, South Sydney Rabbitohs, Craig Rogers, Data Scientist, SAS Australia & New Zealand, Nathan Holland, IoT Architect, Cisco Systems, Dr. Elisabeth Smith, Senior Medical Advisor, Janssen/Johnson & Johnson and Philippa Miller, Education Consultant, Association of Independent Schools NSW. With the rise of professional sporting teams depending on Big Data and the Internet of Things (IoT) to find talent, prevent injuries and win premierships, STEM jobs in sports are playing a starring role. Today, you will find data analysts, statisticians and IoT architects sitting alongside head coaches and executives when making crucial decisions on team selection and recruitment. The South Sydney Rabbitohs are one such sporting team relying on the output of data to make better football decisions. Read more about STEM jobs in Sports here.